I am honored to have spent this past summer as Ladis Kirstof Fellow for Organizing and Activism. I was fortunate; I discovered the power of activism on my first day as a freshman back in high school – I was 14. After joining my school’s Amnesty International chapter at a rally outside of the United Nations – as the saying goes – my flame was ignited. I discovered a new voice. I discovered a new community. I discovered my individual power, and the collective power we hold when we organize, when we mobilize. I’ve been involved with Amnesty since that day, now some seven years ago. I’ve volunteered in-and-out of our national, regional and legislative offices in New York, Boston, and Washington, DC, respectively. I’ve participated in human rights conferences across the United States. I’ve met with some of the most inspirational human beings our world has to offer. All of this, as an Amnesty member. The 2014 Ladis Kristof Fellowship allowed me to enter the world of human rights and social justice professionally. It took my engagement to the next level. 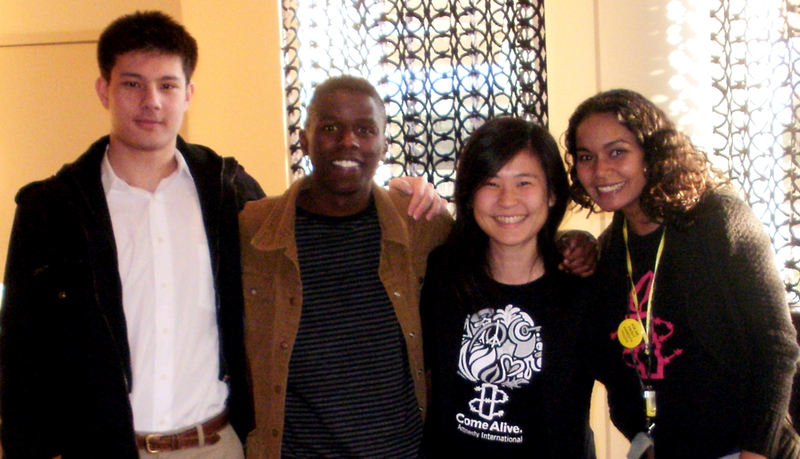 My time spent working with and learning from Amnesty staff and member leaders has confirmed one thing: this is where I want to be; working towards a socially just world, working “in human rights” – this is my raison d’être, so to speak. It’s that time of the year again. Group 48 will have its annual holiday potluck and Write-a-thon at the December meeting. We will be writing letters and cards to prisoners of conscience while enjoying some good food and company. Please RSVP by adding a comment to this post and include some details if you plan to bring food, supplies and/or guests. Group 48 will be tabling all day at the Festival Romani. We need volunteers to staff the table for the day. We will collect signatures for petitions and spread the word for human rights. Come out for an hour or more and enjoy the festival. Add a comment below including the time you are available if you are interested.